Traditionally, there is less filling and more dough. Once the treat cools off, when you bite into it, it springs back and doesn't collapse like a pancake. It's nearly impossible to resist the aroma when walking past Delightful Pastries + Café onFat Tuesday. 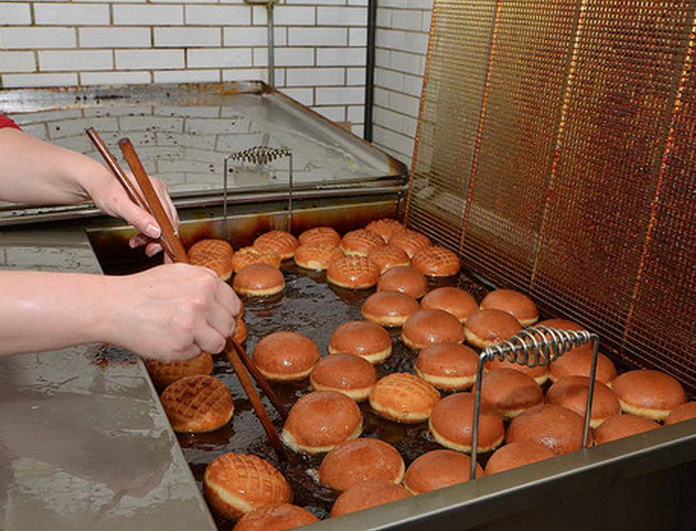 While customers can snag day-of paczki, they are strongly encouraged to pre-order the deep-fried donuts. Delightful Pastries + Café's recipe dates back many generations and Dobra and her team are constantly developing innovative new flavors to keep their customers on their toes each year. Favorites include Passion Fruit Jelly, Jamison Whiskey Chocolate and Fresh Strawberries with Whipped Cream. The flavor explosion doesn't end there with this year's new flavor being a take on the American classic, PB & J. 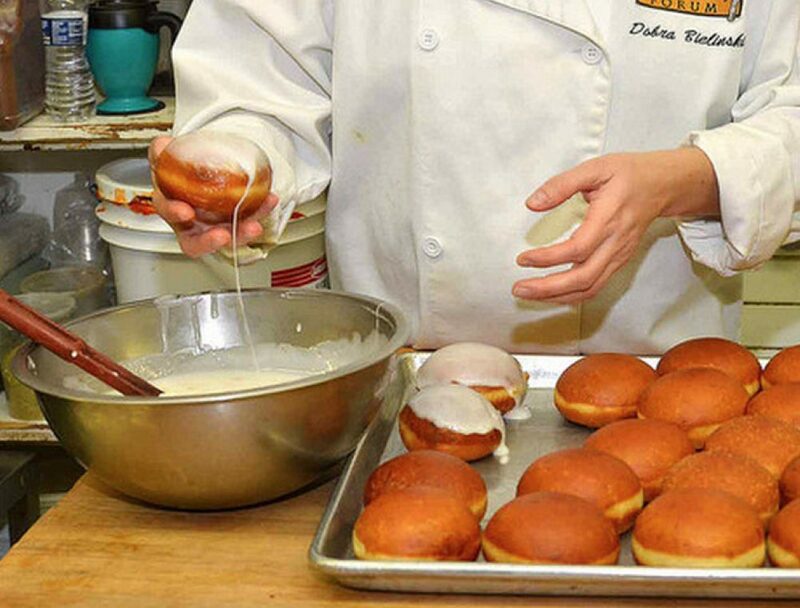 There is a lot of behind the scenes coordination that goes into making Paczki Day such a success at Delightful Pastries + Cafe. Customers can rest assured that Delightful Pastries + Cafe makes its super-secret paczki dough with local Wisconsin butter and they are fried invegetable oil instead of lard. Bielinski always reminds customers, "People really eat jelly-filled donuts for the filling, not the donut itself...with a paczek, what happens is that people eat it for the dough and not the filling. Traditionally, there is less filling and more dough. Once the treat cools off, when you bite into it, it springs back and doesn't collapse like a pancake." And if it's an authentic paczek you're searching for, look no further than Delightful Pastries + Café.